If these restaurants don't cure your hunger pangs, we don’t know what will. Clean roads, organized office blocks, retail in a park setting, 4DX cinemas—Bonifacio Global City is all that, and so much more. The exclusive Home of Passionate Minds, it’s only here where you can nurture all your interests and activities. 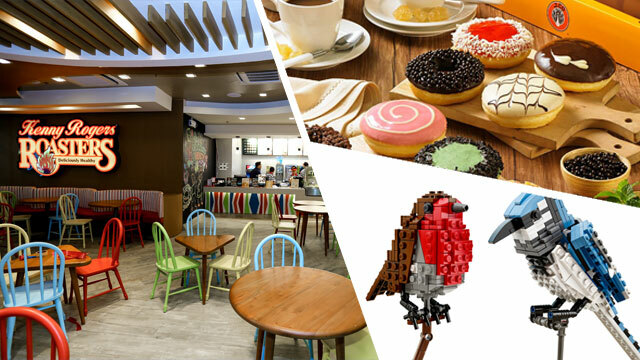 Whatever your passion may be, you’re guaranteed to find something here at BGC. Another thing we love about this place is that it’s always evolving, with new buildings and developments cropping up faster than you can blink. Learn more about the latest must-visit shopping and dining spots below! At the heart and center of BGC is Bonifacio High Street, a kilometer-long stretch of some of the country’s best retail and dining outlets. From the latest reads to the trendiest clothes--even camping gear and stuff for your pet--you’ll find stores bordering a long open space park in the middle, all of which will give you a unique streetlife/outdoor mall experience. So many cuisines, so little time. Single Origin’s status as a cafe and a drinking hub makes it an all-day hotspot worth checking out. Its menu features a lengthy list of third-wave coffee and tea, as well as a wide variety of alcoholic beverages. While the food is indeed worth all its well-deserved raves (their mushroom spring rolls are to die for! ), what’s even better is knowing that you’re dining for a good cause: Earth Kitchen aims to encourage more farmers to produce healthy, organic food through dishes that allow the products’ unaltered flavors to shine through. Typo is the perfect one-stop-shop for quirky gift items. We’re personally digging their stationery line, which has journals, calendars, and even mouse pads adorned with the coolest designs. Halal Guys is one of New York’s finest food spots, drawing long lines for their gyros, rice platters, and falafels. Now that it's open, expect the city’s most passionate minds to flock here for a taste of halal-certified goodness. 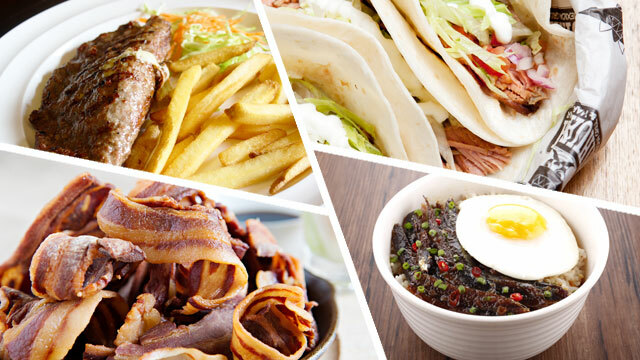 This proudly Pinoy-themed cafe serves the richest, smoothest brews and delicious Filipino-style dishes, such as Bangus Pandesal, Bacon-Style Tapas, and Sweet Ham. Imagine sipping exquisite coffee as you gaze upon Bonifacio High Street--nothing feels more relaxing. Doing your lunch break and grocery shopping at the Marketplace by Rustan’s will leave you reeling from its wide array of premier produce, meat, and dairy essentials. When it comes to burgers, you'd expect the fancy kind here--either massive with a hunk of steak in the middle or tiny with some hard-to-find magic ingredient. It's fine-dining, reshuffled. Chef Chele Gonzalez, who also leads the kitchen at Vask, has brought his extremely popular paella hub in Bonifacio High Street, and we couldn't be more thrilled. Here in ArroZeria, Spanish cuisine is certainly the hero. 5th Ave cor. 28th St. The Fort is the go-to place in BGC to relax and unwind, making it the perfect spot for spontaneous after-office meet-ups with your pals. Who's up for some after-work sushi tonight? This brand-new restaurant at the Fort Strip promises a complete traditional Japanese dining experience, from the mouthwatering fare down to its Instagram-worthy interiors. If you're looking for an all-out Japanese feast, Katsu is definitely the place to be. First-time diners continue to rave about three of their best-sellers: the Tori No Teriyaki, Steamed Gyoza, and Negima Yakitori. Now go see what the fuzz is all about. BGC is proud to be the home of the first-ever mall in the country that serves as a dining, shopping, and entertainment hub for kids. Children of all ages shouldn’t miss a stroll here, if only to check out the wonderful world of KidZania! Make sure to bring the kids along. The country’s one and only “edutainment city” for kids allows them to role-play their dream jobs, discovering more about themselves while learning the value of hard work and money. Aside from being the most complete source for LEGO and DUPLO sets, bricks, and minifigures in the country, it’s also the only place in the PH where you can have your name engraved on a LEGO Brick keychain. There’s no better place for kids to shop for their sports and street wear than here. It’s got everything your athletic tot could ever need, from sports apparel to the hippest kicks, all in children’s sizes. Their soft, fluffy donuts really shine without making you fret about your blood sugar levels. Take home a box of their iconic Al Capone donuts, an almond-topped crowd favorite! This interactive store is world-famous for their stuffed animal toys and plushed animal collectibles, from sea creatures to dinosaurs. They also allow kids to create their own stuffed toy, so make sure to drop by with your kid or younger siblings! This is the perfect spot in BGC to fuel up, whether you’re recharging for the day ahead or recovering after a challenging game on the nearby field. Whether you’re in the mood for beer or a brew, this cozy spot’s got it all, especially since it's open 24/7. Only honest-to-goodness comfort food, just the way you like it: That’s the promise of Recovery Food, a 24/7 joint that has gained fame for satisfying patrons at any given time of the day. What sets this iconic branch apart is the space--it's spacious and airy, with an ambiance as warm as its baristas’ smiles. It’s also the first drive-thru Starbucks in the Philippines, revolutionizing the way on-the-go Pinoys drink their coffee. Head to The Perfect Pint, the go-to place for local craft beer. Its selection of brews is vast, so don’t be afraid to ask the bartenders for their drink recommendations and food pairings. Die-hard carnivores will especially enjoy dining at Balkan, which offers a meaty taste of hearty Yugoslavian home cooking. The cuisine’s so good, you wouldn’t want to share your order with your companions. This is the best place to satisfy your craving for Indian cuisine without burning a hole in your wallet. The dishes are authentic and true, and you can smell the aroma before you even enter the restaurant. Prepare to be lured in. Lots of pocket-friendly choices here. Food truck fave Shawarma Bros have finally settled down at Bonifacio Stopover. BGCitizens can now grab their shawarma fix whenever they want, and at reasonable price points. Two words: Sushi train. 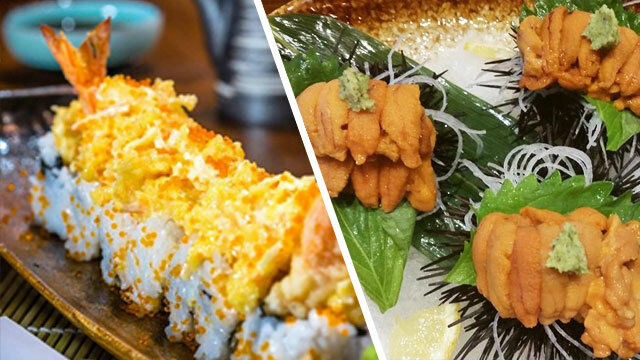 This kawaii addition effectively sets Genki Sushi apart from its trainless counterparts. You’ll be so tempted to order again just to see the train whizz by. Craving for dimsum and noodles? 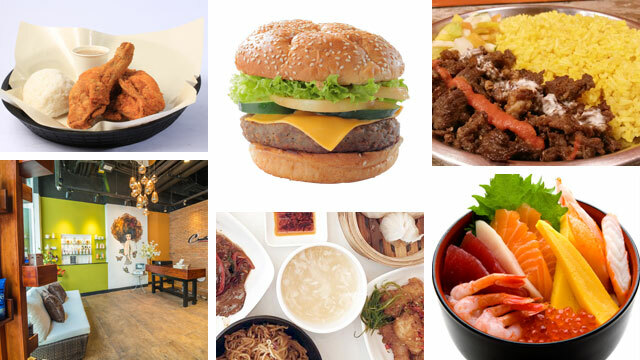 Head to Yum Chee, which delivers quality Chinese fare at pocket-friendly prices. No need to go all the way to Binondo for your fill of authentic Chinese. Coco Hut, a sister restaurant of crowd favorite Army Navy, serves up Pinoy favorites fried chicken and fried fish alongside veggie dishes like laing and bamboo shoots. Here, everything you chow down is as yummy and as fresh as it gets. Touted as the most innovative, challenging and systemized team training workout in the world, F45 has 10 different programs to match your every need while ensuring more than enough variety in your sweat sessions. If you want a big, affordable, slice of New York-style pizza, make a beeline for S&R. Located inside the membership shopping establishment, the signature stall serve their pies with oozing cheese and generous toppings, all freshly baked on the day. Its a slice that you won't soon forget. Sign up for quiz night, partake in "drinkeoke" sessions, or challenge a friend to a game of beer pong at 121, located at Bonifacio Stopover. Whatever it is, you know that all the right ingredients are there for a night of merrymaking. And in between all the revelry, make sure you try the house salpicao—it's da bomb! Need to go to a derma that won't burn a hole in your purse? Pop into Let's Face It for quality facial care professional services that won't break the bank. Aside from facial treatments, you can also opt for a relaxing back massage or a foot spa that will have you invigorated and re-energized. One of the country's most recognized names in the salon industry, Creations by Lourd Ramos can give you a modern cut that's classy and stylish. Be assured that your locks will be in the hands of well-trained hair experts. You can come as you are at Creations, but you'll definitely leave the place more fabulous. Next time you get your nails done check out Nailandia, located at the Bonifacio Stopover. Get a mani, a pedi, a nail spa, and if while you're it, try the Christian Louboutin nail polish collection which is available here. And you can even book them and reserve the venue for your next party, or event! Hobing offers customers a spacious and bright ambience with excellent service. We highly encourage you to try the Bingsu--a Korean shaved ice dessert with sweet toppings such as chopped fruits, condensed milk, fruit syrup, and Azuki beans. Think of it as a Korean halo-halo. Still can’t decide where to eat? 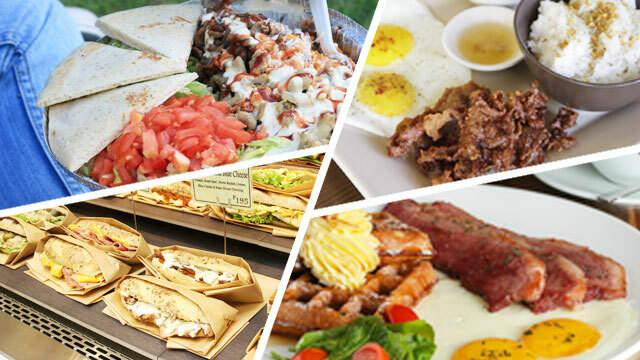 Tried-and-tested favorites such as Shakey’s, Wendy’s, Pancake House, Max’s, Greenwich, and Jollibee also call Bonifacio Stopover home. If these restaurants don't cure your hunger pangs, we don’t know what will. Here's the best part. For every purchase of P500 with single or accumulated receipts dated on all weekends of February and March, shoppers will be entitled to free parking passes and gift certificates, courtesy of the Bonifacio Stopover Mall Promo! Per DTI-FTEB SPD Permit No. 0666 Series of 2016. Click here to know more. 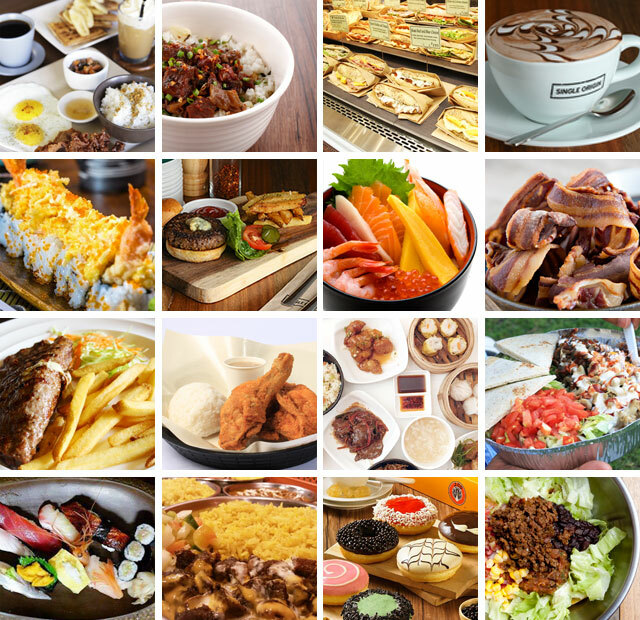 To see the complete listing of stores and restaurants in BGC, visit the Bonifacio Global City Facebook page.